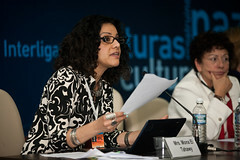 The thematic session on Democracy, good governance, and cultural diversity emphasized the importance of building trust through dialogue through mechanisms such as inter-religious councils who have a regular and ongoing program of consultations and discussions, which can help to diffuse tension and misperception. It was also pointed out that authorities need to facilitate and promote the effective participation of ethnic and cultural minorities in public life. Political parties have a particular responsibility in ensuring gender equality and the political representation of minorities. Finally, the session called on the need to invest in youth through education for all, offering spaces for youth to express themselves in public life, and facilitate exchanges among youth of different cultural backgrounds. One concrete proposal referred to the establishment of youth political shadow systems, to advise government officials with youth perceptions and suggestions on major political, economic and social issues. The Empowering Women through Education session emphasized the transformative power of education, not only for women, but for societies and the world. Recognizing this, some governments have chosen to magnify this transformative power through policies at the national level and through their international aid policies. NGOs representatives emphasized the importance of educating boys and girls, men and women through both formal and informal education. It was also pointed that when cultural groups are marginalized and denied access to opportunity, half of such groups are women. An innovative element of this was the Soliya Terana project of bringing voices, through videos, from diverse countries who opined on the issue considered by the session. In the Shaping Perceptions, Challenging Stereotypes session, multiple examples such as the coverage of issues related to Iran and Gaza demonstrated the differences that shape perception. These include language, access to media, and agendas of different players. Although speakers felt that we are closer than ever before in terms of an interconnected world, media coverage does not necessarily reflect this fact. One of the key questions to be explored further is: how do we diversify voices that we hear from within the context of different media markets? The Thematic Session 4 “Living Together in Urban Societies” explored the advantages that cities can achieve from overcoming barriers of ethnicity, culture, social status and distance and connecting people – across neighborhoods and across continents. 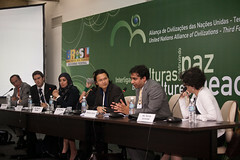 The session highlighted intercultural cities that realized their ‘diversity advantage’, inviting speakers to exchange on practical methods to resolve disputes and build dialogue, on places and spaces to build a common urban citizenship and to learn from the rich experience of cultures living together in the host city of Rio de Janeiro. 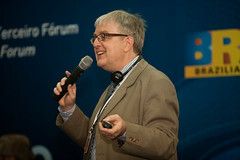 Speakers agreed that diversity in cities was a factor enabling growth and development. 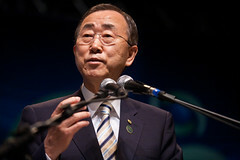 They nonetheless highlighted the challenges in addressing poverty and inequality in urban contexts. Second, the role of multilevel governance, and in particular municipalities, was underscored as critical in enhancing the diversity advantage of multi-cultural urban societies, and the role of local governments. Third, speakers addressed the importance of learning about practical, concrete and feasible projects and good practices, such as new technologies and education for a better understanding of cultural diversity. In the New Media session panelists discussed how the Internet is allowing people to connect and mobilize in innovative ways, and access and provide news through alternative channels. This is particularly relevant to regions where traditional media face challenges. At the same time, one must recognize that there are limits to new media, such as the digital divide. Additionally, there are consequences for people who are sharing information that is perceived as sensitive for governments. The main result of the discussions at the Human Rights Session was that it should be our aim that we experience human rights as our daily culture where everybody has the feeling of belonging to a community with dignity and respect. 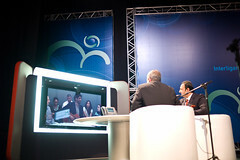 For this we need 3 Cs: cooperation, communication, and competence; and 3 Is: information, inspiration, and involvement. In conclusion, we need a new social contract and a personal commitment by all of us to pursue human rights in our communities. The History as an Integral Dimension of Intercultural Dialogue session speakers pointed out that history teaching should emphasize interactions – both positive and negative – to enable understanding of the complexity of history. It was felt that a major challenge was to transform the enormous amounts of available material into forms that could be educational in the classroom and the larger public. Although the use of new technology could help tremendously in this regard, there was a need for training, tracking, and judicious selection. The Alliance of Civilizations was encouraged to work with international partners to develop concrete projects in this regard in the Mediterranean and other regions of the world, as in the case of Southeastern Europe. A youth representative pointed out that since youth were important agents of change in promoting inclusive history, youth should be encouraged to develop inclusive history projects worldwide. In the Public-Private partnership session, a consensus emerged that intercultural dialogue and cultural diversity are a full component of the sustainable development agenda, or at least should be recognized as such. Indeed, sustainable development cannot be restricted to economic and social goals (MDGs) and climate change. This strong message reinforced the need to mainstream intercultural dialogue and cultural diversity in the sustainability agenda. An outcome of the meeting was that a group of partners are willing to generate a set of rough indicators and measures to assess progress made by countries in the field of intercultural dialogue and cultural diversity.